“There is fire on the mountain; and nobody seems to be on the run; oh there is fire on the mountain top; and no one is a-running,” she tuned and the crowd sang alongside her. It was May 1, 2016, which was a public holiday in Nigeria. Everyone in the hall seemed captivated as they watched her serenade them with her art. In a corner of her room of solitude, she heard the yearnings of her soul therapy seeking audience and she knew it was time to step into the spotlight. “Finally LAGOS! I am coming home!” She announced on her Twitter page on April 8, 2016, to which one of her fans responded: “where have you been all this while? It's good to have you back". As 2018 winds down to a close, months after the event described in the first paragraph, there have been varying reports on the dread-locked singer's absence from the music scene? And the concerns are in order because in the true sense of the word, it's been years since Asa weaved her captivating lyrics into an album. 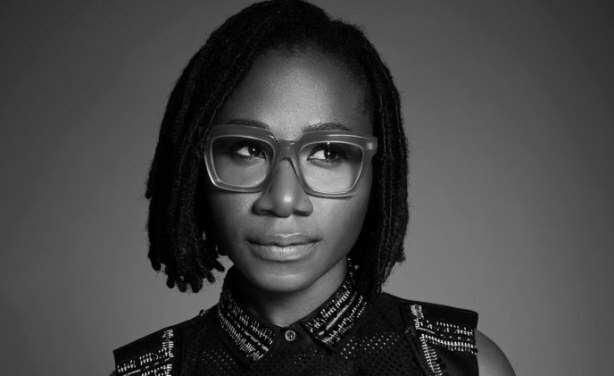 Bukola Elemide, popularly known as Asa, is "inspired by many kinds of music, but basically by music that has soul”, she revealed in an interview in 2003. Born on September 17, 1982 in Paris to Nigerian parents, Asa grew up listening to her father's collection of music, which featured African, Nigerian, American soul catalogues, and that birthed her love for music. She wrote her first song in Lagos when she was living with her grandparents in a house of about 12 people, where she happened to be the only girl. In an interview with Public Ados — a French media outfit — she explained how she started making music. Her words: “I hated being a girl, just because of that. But I had to cook, and when I got tired one day, I took a guitar, and with just two chords, I think the song was “Ya”. I was 18, just before going to university." Although she had been convinced severally by her father and loved ones not to go into music, she, however, saw music as her “ticket to freedom”. At the age of two, she returned to Nigeria with her family. In Nigeria, she lived in Lagos with her family for 18 years before embarking on a journey back to Paris where her artistic journey began. In France while studying at the IMFP school of Jazz music, before she was advised to start recording. “Honestly, I never thought I would come and have a career. I though I would go to America, to England; that’s the dream for every Anglophone country. But really, it is just destiny,” was her reply when asked by the French media outfit why she decided to come to France. The singer found it hard adjusting to life in France for a lot of reasons. According to her, she had to learn their language, learn to wear the right clothes, learn to eat their food and accept their culture. “It was a lot of emotions for me to accept the culture, and I didn’t eat for days! Cause I kept buying the wrong things,” She said in the interview with Philippe C. and Julia G.
Asa's musical journey started in 2004, when she met Janet Nwose who would later become her manager. The singer released her first single 'Eye Adaba, that gained her recognition. Janet was instrumental to Asa’s growth as she introduced the singer to Cobhams Asuquo. The musical romance between Cobhams and Asa is one the world will never forget, because it gave birth to the singer's first album and first platinum selling work. Cobhams co-wrote songs on the album like 'Fire on the Mountain'and 'Jailer'. The self titled album 'Asa' is a conscious music effort that was produced by Cobhams, Christophe Dupouy and Benjamin Constant. Asa is the Yoruba word for 'Hawk' and became the stage name she adopted during her formative years. The ten-track album features topics such as mothers, the society, peace and love. In an interview conducted in 2003, she tried to explain why she does soul music, stating that “Soul is spiritual. It's a conscious style of singing; it's not something that you sing today and tomorrow it's over. It's something that goes on. whatever you put your soul in is soul music; it's what I believe, that's why I do soul music”. Her second studio album is a twelve-track album released on September 4, 2009 which saw the singer performing most of her songs in the live version, such as like 'Subway', 'Bibanke', '360'. Her third album, 'Beautiful Imperfections, came with a breath of fresh air on October 15, 2010 with hit singles such as 'Be my man' and 'Why Can't We?'. The third studio album of the singer released on August 25, 2014 under her signed record label company, Naive Records, was co-written and produced by Blair Mackichan with recording done in East Sussex area of the UK. The album was well received as people felt a great level of personal connection with the musical experience captured in the album. The album peaked at number 38 on the French Album Chart and number 64 on the Swiss Albums Chart. 'Bed of Stone' features 12 songs and two deluxe edition bonus tracks. Speaking on her struggles when working on the album, the singer said she felt empty after travelling down to Lagos as she always does whenever she wants to record an album. "Usually, I would come to Lagos and get inspired by home and things that are familiar, that I grew up with, because I enjoy writing about home. This time around, I came back to Lagos and I was empty. I didn't know what to write about. I felt I had written all there was to write. After all this travelling, I did this album and when it was ready I just couldn't let it come out. I wasn't happy. I didn't feel comfortable," she told Bloomberg TV Africa. “Well, I think everybody is called to do something. We all have talents. Now, the question is, or the thing is, what are you trying to do? What do you channel it to? What do you use your talent for? For upcoming people, I wouldn't say, 'Quit commercial music. It's bad'. It's not. We need these kinds of music to feel like humans, to live... to be... we need to laugh, to cry, you know; death, birth, we need all those things. It's what makes a larger story. I just say you need to search within yourself, nobody is going to help you do it. When you come into the music business, or the entertainment business, nobody is going to give you that direction. You know? Nobody is going to help you out. What makes the difference is when you've thought about this, and you are convinced, and your imagination will allow it to run, and to move forward. and I think you are going to be amongst the great,” she told SaharaReporters in an interview in 2009, when asked her advice for upcoming artist. It was with great surprise her fans and friends received the news that she lost her virginity at the age of 28. She disclosed this in an interview with Funmi Iyanda in 2017. The revelations in the interview dominated a better part of 2017, three years after the release of 'Bed of Stone'. It has been quite a while since the Nigerian music scene has featured the presence of Asa. And as the world waits with bated breath for another classic from the artist who has stamped her foot in the musically-inspiring sands of time, it is expected that the wait would not last so long. Till then, the question remains: "Where is Asa, the Paris-born Nigerian Singing Bird?"